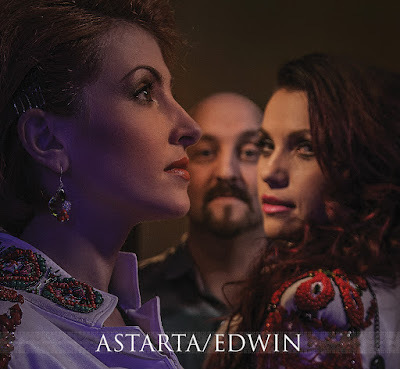 Astarta/Edwin is the unlikely, intriguing and productive combination of female Ukrainian vocal duo Astarta, UK bass player and producer Colin Edwin and Ukrainian composer and singer Dilya. Also the project’s debut album features contribution from gifted and remarkable guest musicians including US experimental/ambient guitarist Jon Durant, UK violin virtuoso Steve Bingham and legendary US drummer Pat Mastelotto (King Crimson). This collaborative project and album were born out whilst Colin Edwin was visiting Kiev to perform with his duo Ex-Wise Heads in early 2012. After the event Edwin got introduced to Dilya, who came to this concert by chance. Dilya told him he has produced the folk duo Astarta and wanted to collaborate with him. That day the project Astarta/Edwin was started. The main idea was to take the vibrant, emotive and striking vocals of Inna Kovtun and Yulia Malyarenko, the Ukrainian folk songs, which they were found during the folk expeditions throughout Ukraine and infuse them into completely unrelated contexts with Colin Edwin's musical input and production. Edwin didn’t treat them as Ukrainian folk and came at the material from a different direction, blending with Western melodic and rhythmic constructs. 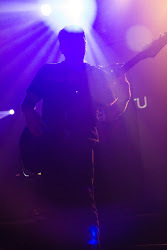 After live performances in 2013, including the debut Astarta/Edwin show at the Kraina Mriy World Music Festival in Kyiv, solo concert of Astarta with Colin Edwin and Astarta/Edwin live at the Days of Ukraine in the UK in London, the project developed their sound and working methods throughout the recording process. Kicking off with the jaunty, propulsive “Pid Yalinoyu” the album travels through an inviting collection of 12 songs, via the mysterious atmospheric dub of “Oy U Lisi”, ranging from the uplifting “Orel” (aided by particularly inventive guitar work from Durant), to the fragile acoustic ballad “Kolisanka”. The creation of the album allowing the unexpected new interpretations, for example the reworking of traditional song “Skripka” lends a more melancholic undertone to it’s usual cheery mood. Together, all parties involved have moulded the folk roots into something unique, in a new and highly unusual way, especially for Ukraine. Astarta/Edwin Album Audio Trailer + Interview.